Step away from the stove! 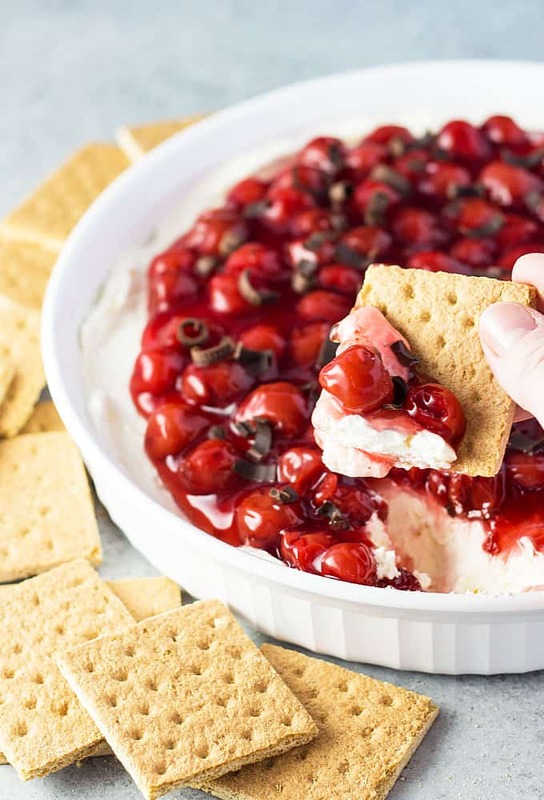 This easy and creamy Cherry Cheesecake Dip is NO BAKE and comes together in minutes. I love cheesecake! 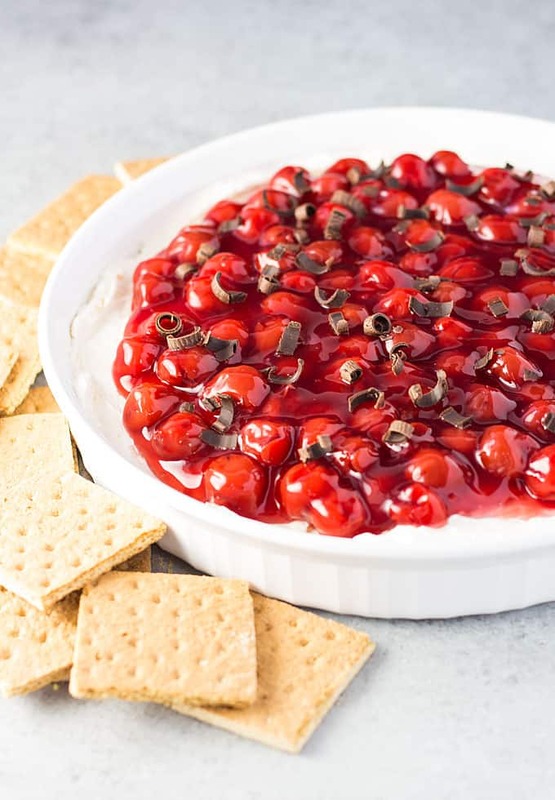 I love it even better when it comes together in a dip form like this in just 15 minutes. 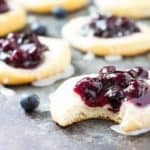 This recipe is the perfect appetizer if you’re strapped for time and want to make something everyone will love. 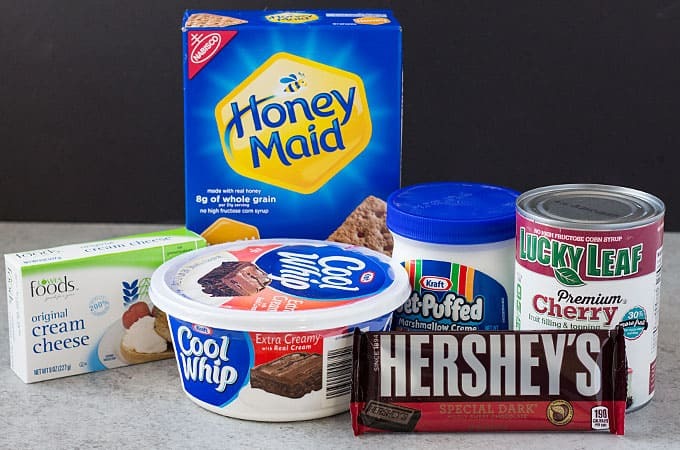 Here are your simple ingredients: Cream cheese, Cool Whip, marshmallow cream, cherry pie filling, vanilla extract (not pictured-sorry!) and a dark chocolate bar for topping. 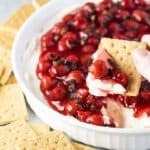 I love this dip with graham crackers, but vanilla wafers and/or sugar cookies are awesome, too. This dip is so easy to assemble. Just spread the beaten cheesecake mixture in a pie dish, top with cherry pie filling and chocolate shavings. In a large mixing bowl, beat cream cheese, marshmallow cream and vanilla extract on medium speed until well combined. Add Cool Whip and stir with a large spoon until combined. 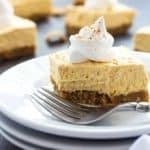 Pour cheesecake mixture into a pie dish and spread evenly. Top with cherry pie filling and chocolate shavings. 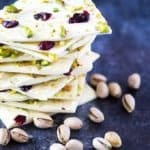 Serve immediately or cover and refrigerate. 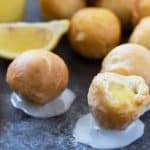 I have made this recipe quite a few times. It’s absolutely amazing. I have also used individual graham crust, and the regular size graham crust. YES! 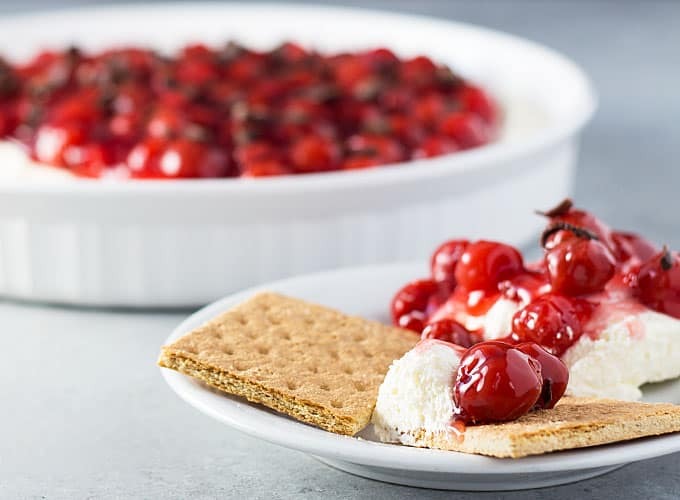 Something that can satisfy a cherry cheesecake craving in minutes. I’m sold. And drooling. Totally drooling. I just made this for tonight’s new years eve buffet and it is amazing. I’m adding it to my regular menu from now on. 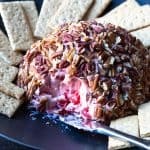 I have made this dip, I however used strawberry filling and blueberry filling!! Both were a huge hit! !